Every once in awhile I run across a product that I just fall in love with immediately. Well, I fell in love with pretty much the entire product collection by PhotoPlay. I'm not sure how long they have been around, but I don't think it's been very long; I just found them recently. The collection that I saw first was O' Canada by Becky Fleck. The moose and the other adorable animals made me take a second look and research to find out where I could get this collection. I soon found that I loved all their paper collections and I thought our customers would love them too! To make it easy to get the entire collection we have made exclusive PhotoPlay scrapbook bundles for each of the collections we carry. Most bundles will include a 12" x 12" Collection Pack, a set of die cuts, a stamp set, and a die set. Sometimes the bundles have different products, it just depends on what is released with each set. The bundles offer you a convenient shopping solution and a better price! Since the 4th of July is right around the corner, the first collection I got out was the Red White & Blue. It is designed by Michelle Coleman. 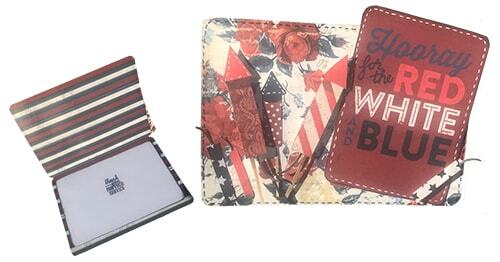 The first craft I made with this patriotic-themed collection was this fun Hooray for the Red, White, & Blue card. The dimensions of the card are 4" x 6" and I used one of the journaling cards for the sentiment. Making this card was super easy and quick, so if you are like me and trying to put a card together at the last minute, there are lots of good solutions in this set! Note: I also used the stamp set for the inside of the card with the phrase "thank you for your service". I also decided to make a layout for the 4th of July. 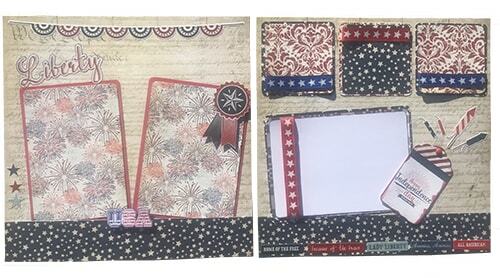 These two 12" x 12" 4th of July scrapbook pages turned out great. Most of the embellishments that I used come from the Red White & Blue Bundle, except for a bit of ribbon and a brad. Summer generally comes with some sort of vacation, whether you are flying across the country to visit your favorite beach or packing everyone into the family car for a fun road trip. Sometimes it's fun to stay close to home and enjoy the beauty that is in your own backyard. Regardless of your plans, this collection is perfect for documenting your summer travels. Mari Koegelenberg designed the Let's Go! collection. I'd never heard of her before, but man do I love her work! 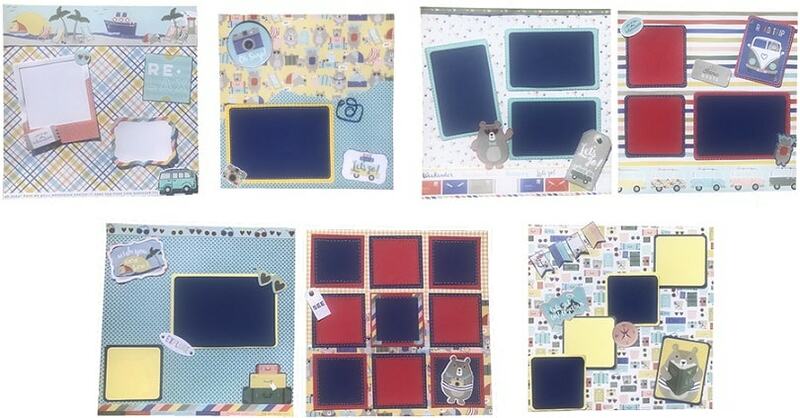 This delightful collection has everything you need to create awesome scrapbook pages about your summer adventures. When we go on vacation, we take lots of pictures (my boys get so tired of it, but who's the boss?). If you're like me, that means you need to make lots of scrapbook pages. I like crafting with collections when I'm doing multiple pages because I think it makes it easier to maintain the theme and get the project done faster. Here are the scrapbook layouts that I created using the Let's Go! Bundle. Check back in the next week for NEW PhotoPlay July collections coming including the adorable Here Comes Santa collection. Leave me a message to let me know what PhotoPlay collection you like the best. Happy creating! I really like the O Canada Photoplay collection!! It is not often that you find a great Canadian themed scrapbook collection. This one is adorable.